It started as a small taco stand in Cheyenne, Wyoming in 1968. Harold Holmes and James Woodson, local businessmen, purchased the franchise rights in 1969. They named it after the founder John Turner. Stores gradually sprouted in various states. There are more or less four hundred franchises operated by the company in twenty-five states. It founded Taco Tuesdays. It received Culinary Innovation and Operation Excellence Award twice from the International Foodservice Manufacturers Association. Full-time management employees enjoy life, vision, and dental insurances. In addition, they benefit from a 401k retirement plan. On the other hand, part-time employees enjoy meal discounts, bonuses, and free training. More benefits are granted to long-term associates. Apart from discounted meals and free sodas, people work there because of the great environment. Also, salaries are competitive and the management is easy to get along with. The job is fun, engaging, and rewarding. How old do you have to be to work at Taco John’s? The minimum age is as young as 15 or 16 years old depending upon applied governing state and federal laws. Candidates for management should be at least 18 years old to be considered The chain follows Equal Opportunity Employment regulations. In this Mexican-inspired fast food brand, job opportunities remain aplenty. They need entry-level workers to keep up with their increasing store count and expansions. Numerous advancement and training opportunities await those who want to settle their careers. Here are some of the most common job positions they offer. Counter Order Taker: A Counter Order Taker serves food to diners at the counter or from the steam table. They are responsible for taking the orders of diners. During rush hours, Counter Order Takers take orders in advance to avoid counter congestion and customer dissatisfaction. Counter Cashier: A Counter Cashier handles cash transactions with diners. They issue receipts, refunds, tickets, and punches. They also collect payments in various transaction media forms (debit and credit cards.) In addition, they redeem coupons and stamps. In case of customer complaints, Counter Cashiers may handle them by directing complainants with the procedure and provides them with necessary information. Counter Expeditor: A Counter Expeditor checks that orders are prepared accurately and dispensed orderly. They act as bridges between staff attendants, cooks, and cashiers. They also help in preparing food and makes sure that they are served hot. Dining Room Attendant: Dining Room Attendants serve food for diners. They help in setting up the dining area. They collect soiled trays, silverware, glassware, and napkins once the diners are done with their business. They maintain the cleanliness in the dining area. Upon certain occasions, Dining Room Attendants accommodate add-ons and stands by to accommodate diners’ needs. Fry/Steam Table Operator: Fry or Steam Table Operators prepare steam table products such as tortillas and churros. They restock steam table supplies. They also sanitize their area. A strict duty: Fry/Steam Table Operators make sure that their products are clean from raw to ready-to-serve states. Maintenance Person: A Maintenance Person performs cleaning operations, in the dining, kitchen and management areas. They replace expired bulbs, faulty wires, and even broken floor tiles. In addition, they do plumbing maintenance and repairs. When kitchen machines and equipment are not in optimal condition, Maintenance Persons make sure that they are repaired. Shift Manager: A Shift Manager manages the working hours of the crew. They check the attendance of each crew member. They oversee the performance of crew members and make sure that the diners are satisfied. They also evaluate the quality of food being served. Aside from imposing discipline, a Shift Manager maintains communication within the crew through continuous interaction. Shift Leader: Shift Leaders take the responsibility of Shift Managers when the latter is not around. In addition, they assist in the preparation of food in the kitchen area. They ensure the safety and sanitation of the food prepared. And they also help in serving food to diners. At times, Shift Leaders check the inventory to avoid a deficit of supplies. Assistant Manager: An Assistant Manager supervises staff during shifts. They also hire, schedule, evaluate and orient new restaurant staff. They assess the inventory and manages orders and events. In addition to their duties, they track trial balances and transaction records. They ensure the crew’s adherence to hygienic, safety, and service standards of the brand. Restaurant Manager: A Restaurant Manager hires, trains and supervises the personnel. They plan the menu. They also evaluate budget proposals and approve of them if they find it feasible. Restaurant Managers oversee stock levels and conduct thorough inspections with incoming raw supplies. They handle customer complaints, take reservations and solves problems faced by the restaurant. Start by inquiring about available job positions. After preparing their resumé and application letter, applicants must submit their documents to hiring branch managers. 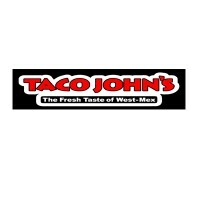 They mayvisit the nearest Taco John’s restaurant, or they may visit the food chain’s website. Candidates may apply and submit their resumé through the food chain’s website. This is the popular and typical method of application. However, walk-in applications are preferred by hiring managers. In this method, they observe communication skills and it shows respect. Before submission, read the description of the prospect job carefully. Flexible schedules and positive attitude are proven favorable and increase applicant’s hiring consideration. Include high school diplomas and/or GED equivalents (if available.) An original cover letter is also a must. A wise resumé is one that targets the job position you’re after. If possible, identify all your accomplishments and measure them. Cater your resumé for the industry. The resumé must display the applicant’s knowledge and passion for the industry. To sweep the interview, research about the job opportunity, employer, and hiring manager. Review common interview questions and prepare answers. Never be late and dress appropriately. Try making good first impressions, and most importantly, be honest. The company takes pride in Taco Tuesdays. It boasts its crew which is the heart of their business. They have developed a fast-paced, proactive, educational, and fun working environment over the years. It continuously breaks ground with its major expansions in New York and Tennessee. Their whole workforce also unites every October to celebrate National Taco Week. During this, limited-time meals and combos are reoffered to diners. The brand is known for its original Mexican-inspired food. There are meaty and veggie burritos. And the trademark Potato Olés. Another noteworthy fact is that it survived a lawsuit out of E. Coli infected products. The company proved itself not liable and stood once more. A part of its proceeds goes to charity and non-profit organizations. It supports Hope and Cope, Children’s Miracle Network, and United Way. It has partnered with Special Olympics Iowa for seven years already. And nearby stores participate yearly. 1 How old do you have to be to work at Taco John’s?